I think it was one of many who have trouble paying rent. If I could not pay the rent, it would make me write in the middle of bridges as well… Great piece! 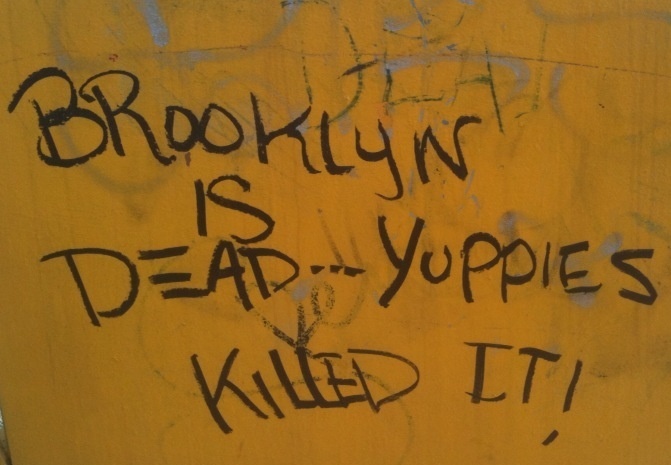 I’m just surprised the word “yuppie” is still in circulation. 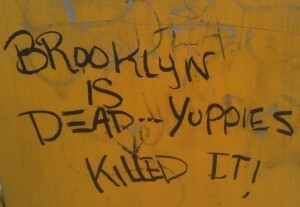 It suggests that the graffiti author is of a certain age. Absolutely. The author would have to be my vintage i guess, but it wasn’t me, promise!